French optical equipment maker Ekinops is in talks with the major shareholders of OneAccess, a supplier of access routers, to acquire the company in a deal worth about €60 million. This is a case of the minnow swallowing the whale. With 2016 earnings of €58 million and more than 350 employees, OneAccess is more than three times the size of Ekinops, which had a turnover of €18 million last year. The combination would create a new player in optical transport, Ethernet services and business routing for networks, the companies said. The combination would have more than 400 employees and could bring in about €76 million in revenues, about 55 per cent of which would be outside France. The deal would be financed in stock and shares with OneAccess shareholders receiving 50 per cent of the value in cash and 50 per cent in new Ekinops’ shares. Once completed, OneAccess's shareholders would own 20–25 per cent of the new company. Founded in 2001, OneAccess is a supplier of access routers that enable service providers to deliver their service bundles. 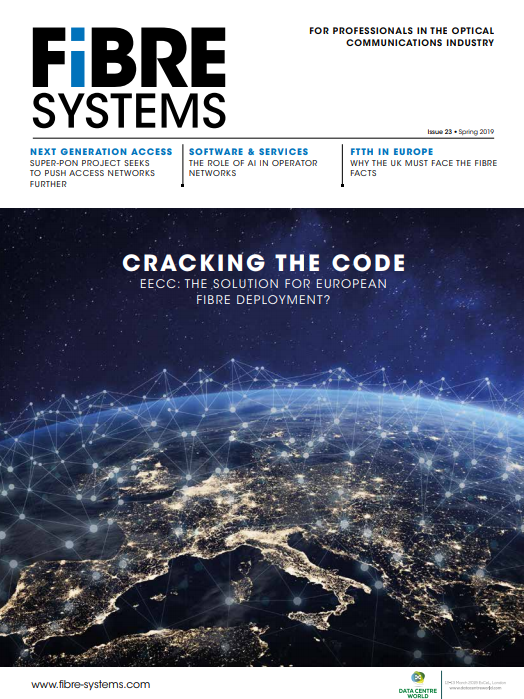 The company offers both physical and virtual platforms based on network functions virtualisation (NFV) across a range of different access technologies, including copper, cellular, fibre and wireless. Optical equipment maker Ekinops was formed in 2003 in Lannion, France. Its flagship product, the Ekinops 360, addresses metro, regional, and long-haul applications with a single, highly-integrated optical transport platform based on the programmable Ekinops T-Chip (Transport-on-a-Chip) architecture. The pair cite several reasons for the combination: a strong, shared software culture that will put them in a prime position to capitalise on carriers’ inevitable move to network virtualisation; their complementary client portfolios; and the desire to achieve “critical mass” as an international telecom supplier. Ekinops has built its growth on small carriers, and is now appealing to Tier 2 carriers, especially in the US market, and two Tier 1 carriers since last year (see Orange to install Ekinops’ 100G technology on terrestrial long-haul routes). OneAccess, meanwhile, enjoys an established presence with very large carriers, with its products being used by nearly one out of every three Tier 1 carriers around the world. This would provide a foundation for Ekinops to increase its penetration at larger accounts. With very few common customers, the new company also expects to generate substantial business synergies. The transaction is expected to close in the summer, once it clears several hurdles: approval by Ekinops’ shareholders, approval by at least 95 per cent of OneAccess’s shareholders, receipt of the opinions of the employee representative bodies of Ekinops and OneAccess, and other customary conditions.